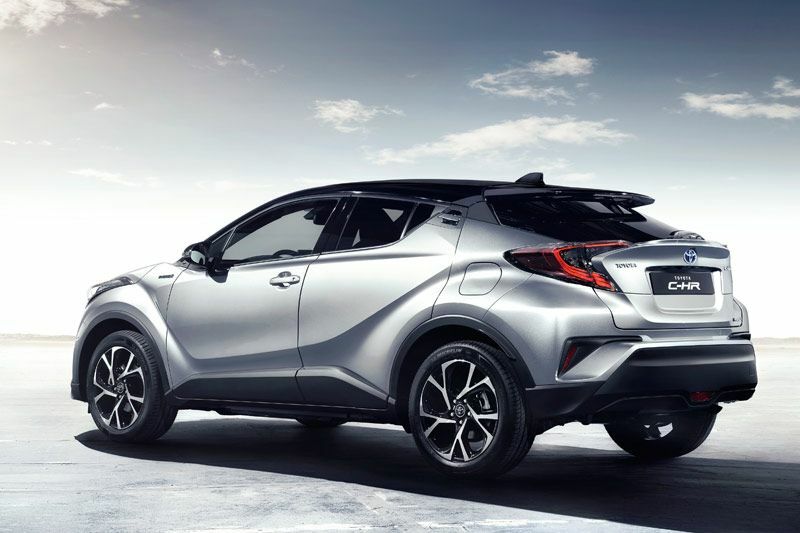 The all-new Toyota C-HR introduces distinctive styling that brings newfound dynamism and sensuality to the crossover market, combining a coupe-like upper body with the powerful underpinnings of an SUV. Viewed from any angle, the C-HR’s combination of facetted gemstone-like shapes with fluid surfaces and elegantly integrated detailing create a delicate balance of precision and sensuality. The slender upper grille flows from the Toyota badge into the sleek, aggressive wing extremities of the headlamp clusters and wraps fully around the front corners of the vehicle. The striking headlamps also house LED Daytime Running Lights (DRL) in a prism shape. The C-HR’s coupe-like styling is further enhanced by disguised rear door handles integrated within the C pillar and, essential to the representation of speed within the design, the powerful projection of the sweeping roofline into a large, highly aerodynamic, skeletal frame rear spoiler. 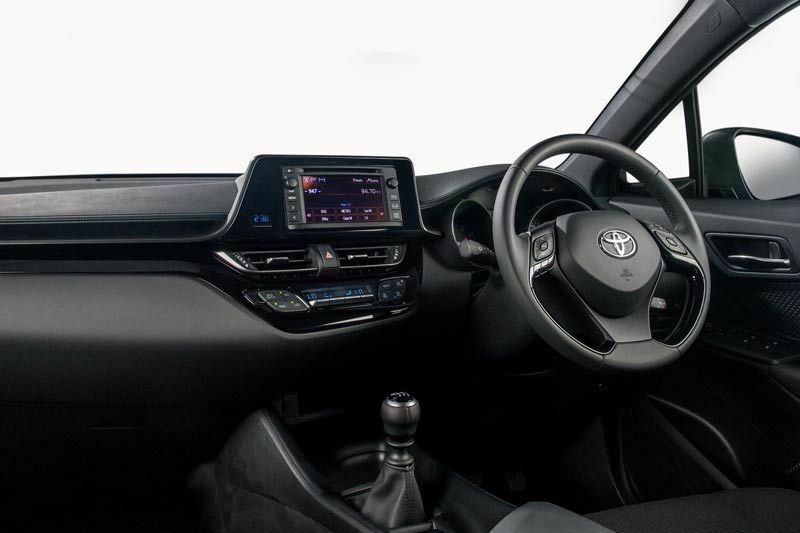 A new departure for Toyota, the interior styling represents a new ‘Sensual Tech’ design concept combining high-tech functionality with a sensual and fashionable style. It embodies a driver-focused area within an airy, expansive cabin space. The driver oriented area incorporates innovative details and intuitive, approachable high technology. 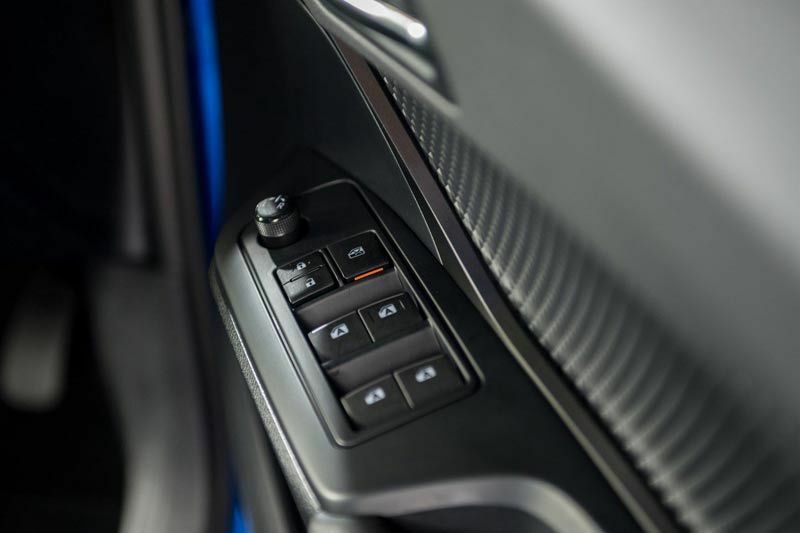 All operating switchgear, and a display audio touch-screen are slightly angled towards the driver, this, in conjunction with the asymmetrical centre console design, brings all controls within easy reach of the driver, whilst still allowing front passenger access to the relevant switchgear. 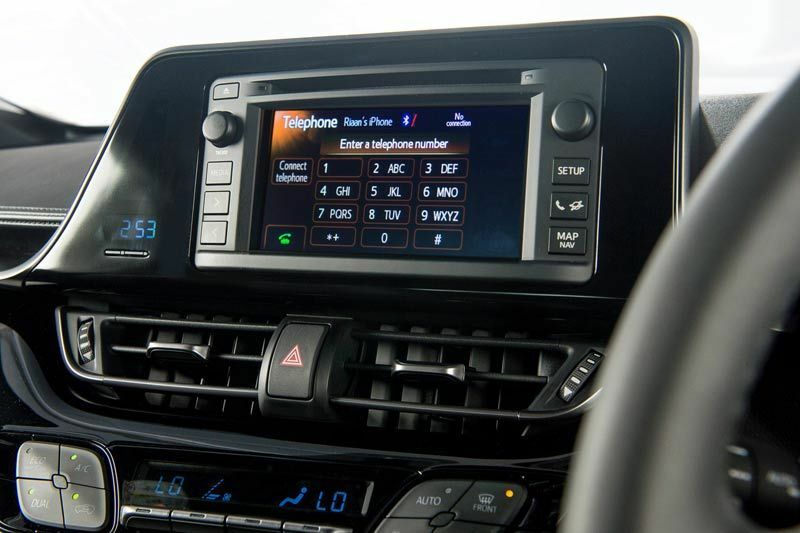 The audio system makes use of touchscreen technology and allows occupants to play a variety of media types through the vehicle’s sound system. To this point; USB, iPod, iPhone, Bluetooth and CD/DVD interfaces are catered for. 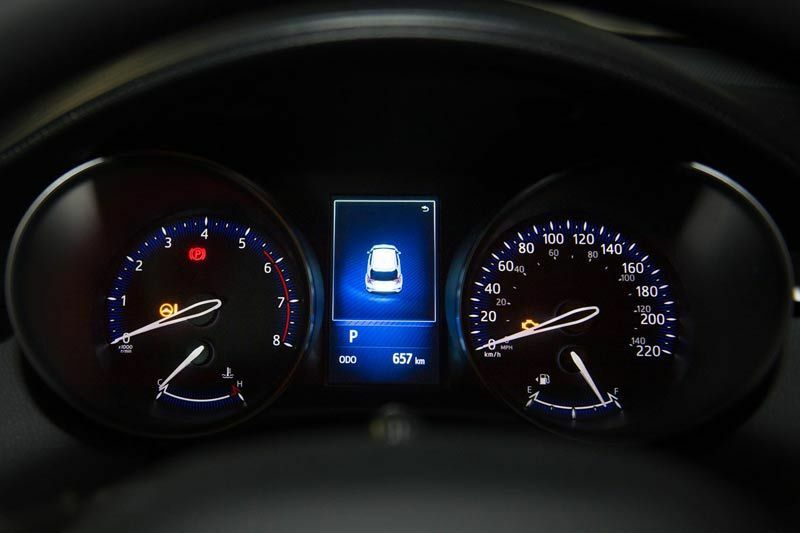 Because the touch-screen stands proud from the instrument panel rather than being enclosed by it, the upper dashboard is considerably lower in depth, further helping driver visibility. Reinforcing the link between interior and exterior design, many switches use a similar shape, reflecting the diamond motif of the exterior body shell. The same diamond theme is also visible in the door trim pattern, the headliner and even the needles of the driver’s analogue instrument dials. The Toyota C-HR is the first model to locally utilise Toyota’s advanced new 1.2 litre turbo engine. 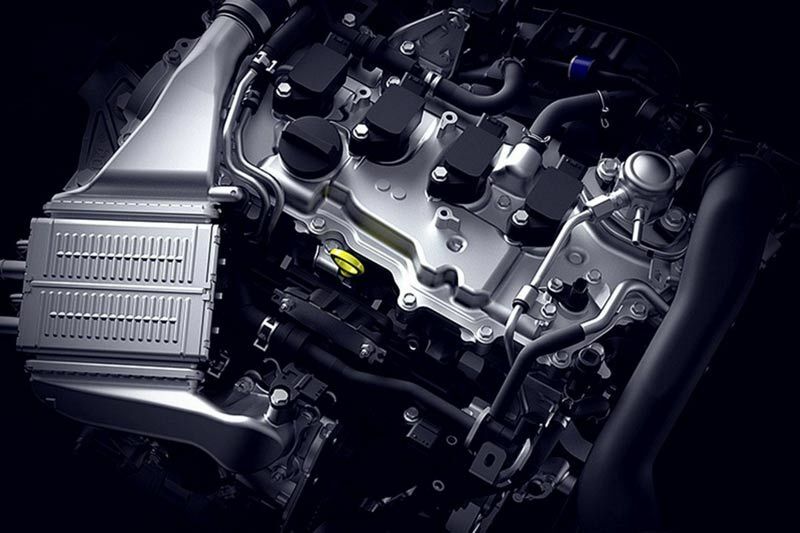 The engine delivers 85kW and a constant torque curve of 185 Nm between 1,500 and 4,000 rpm. 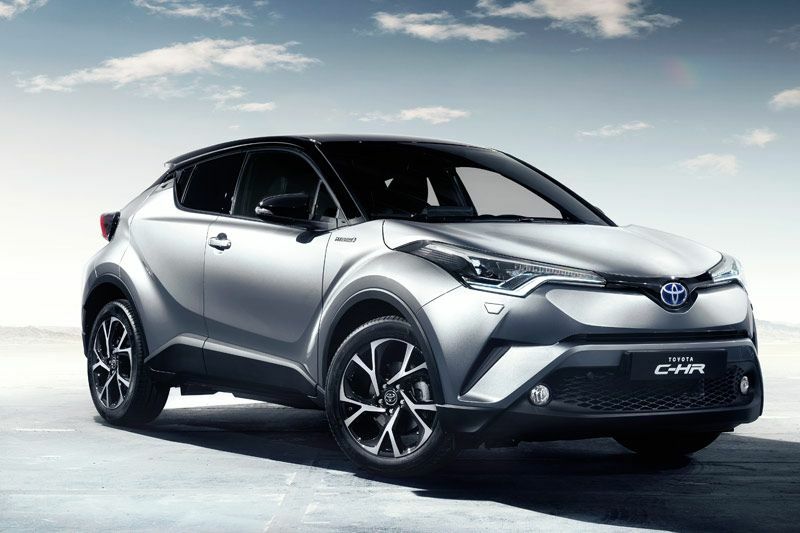 It will push the Toyota C-HR from 0 to 100 km/h in 10.9 seconds and the top speed is set at 190 km/h. All of this is achieved despite a strong focus on fuel consumption and CO2 – the manual car achieves 6.3 l/100 km on the combined cycle, and delivers just 141g/km of CO2. CVT models deliver 6.4 l/100 km and produce 144 g/km. 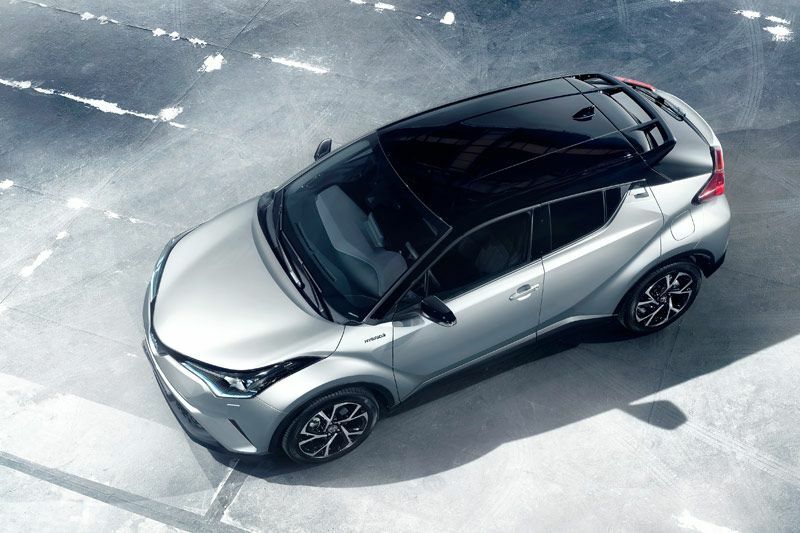 A full suite of Active Safety functions are embedded into the C-HR and include ABS, Brake Assist (BA), Electronic Brake Force Distribution (EBD), Hill Assist Control (HAC) and Vehicle Stability Control (VSC). Parents-to-be will be pleased at the inclusion of two ISOFIX attachment points in the rear. 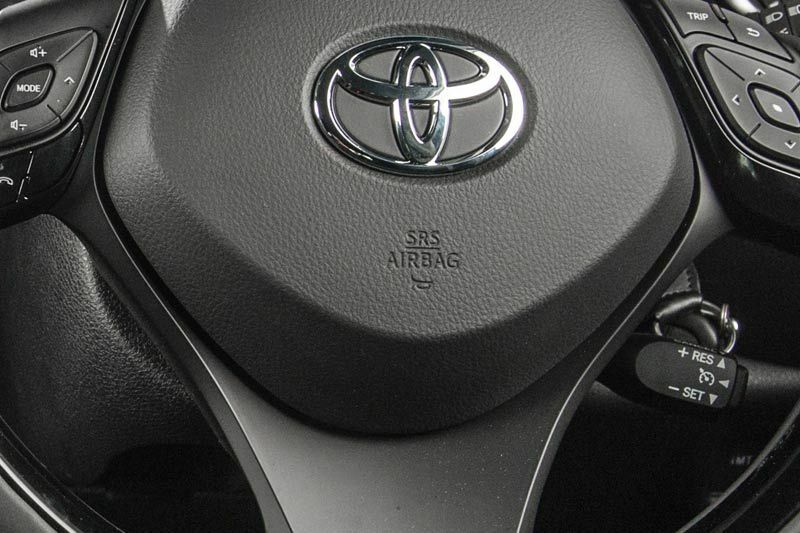 Driver and Passenger airbags round out the safety specification.